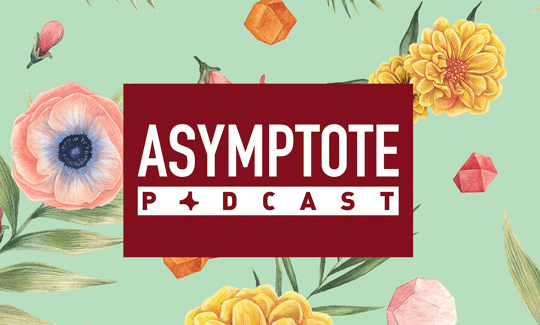 In this week’s all new Asymptote podcast we’re getting crafty! We’ll be hearing from translator Roland Glasser about how he uses technology in his work, as well as getting sage advice from Susanna Basso who is featured in our new Spring Issue. We’ve also got a special dispatch from poet Suzannah V. Evans from the StAnza Poetry Festival in St Andrews, where she sat down with writers and artists Aurélia Lassaque and Tessa Berring to get the scoop on their translation workshop. Get ready to untangle a lot of French feelings: fear, dread, horror, terror, and finding out how marigolds inspire very different moods in standard French versus Occitan—and what exactly all this has to do with a giant fish.